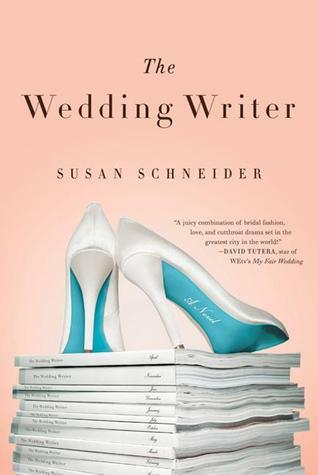 Goodreads: Four talented women, one glossy wedding magazine: life should be as perfect as a bridal catwalk . . . right? Lucky Quinn writes up weddings for one of the hottest bridal magazines. And it wasn't easy to get there. From humble beginnings, she outsmarted her way into the center of New York's glamorous magazine industry - making up for her background with a sharp mind, whip-thin physique, and ceaseless ambition. Then, in one day, her life is utterly transformed; two of the magazine's major competitors fold, and Lucky is named Editor-in-Chief, replacing the formidable, but aging Grace Ralston, who had been at the magazine's helm from day one. Grace taught Lucky everything she knows, but now it seems that she taught her to well . . .
Kritters Thoughts: A great girlie chick lit to get an insider's look into the magazine world and more specifically the bridal magazine world. I absolutely adored that at the center of this book were women who held powerful positions and took the reigns on the professional lives. Ironic, that only one of the main characters was in a successful marriage with child. Being a woman who always wanted to be in the working world and never seeing myself as the stay at home mom - nothing wrong with that role, my mom was an excellent CEO of the household - I just don't see myself as handling that kind of a job! I loved reading a book where women are in a professional situation and are succeeding. The interactions between women in the workforce is unique, as we are a more feeling gender, in the most part, I think it is extra hard for us to check our feelings at the door of our offices. I am guilty, but I think with each year I am in the workforce I realize that a job is a job and friends are friends. Spoken from different perspectives, it was easy to realize which character was speaking. I think they each had a unique voice that made for a full story to be told. From beginning to end, I was rooting for each woman to find success in her own way - may it be out of the office, in a relationship or on the homefront. I honestly would love to see a sequel and see where the women end up and how through their relationships they affect one another beyond the workplace. A great piece of women's fiction that is perfect for a weekend read. Light, but full of heart I would recommend it to any age group. This sounds like a cool read and I really like the cover to. I just put it on my to-read list. Thanks for the review.